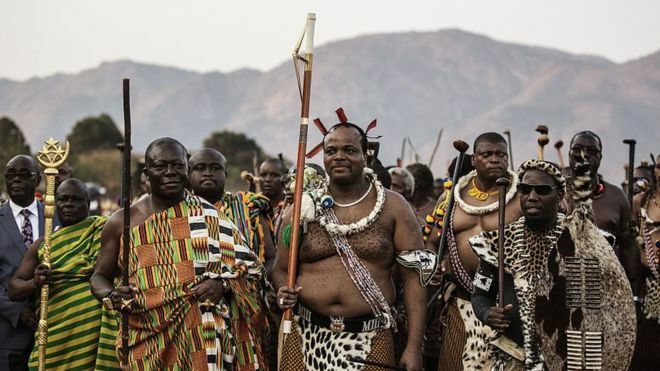 Swaziland King Mswati III, Africa’s last absolute monarch, has renamed his country ‘the Kingdom of eSwatini’. On April 18, 2018 King Mswati III of Swaziland announced that he was renaming the country ‘the Kingdom of eSwatini’. The new name, eSwatini, means ‘land of the Swazis’. King Mswati III is Africa’s last absolute monarch. He is being criticized by human rights organizations and activists for not allowing political parties and discriminating against women. See e.g. Richard Rooney’s blog. King Mswati is known for his many wives, 15 – though this is much less than the number of wives his father, King Sobhuza II, had: 125 – and for his adherence to traditional dress (see picture below). Ritual murder especially of children is a common experience in the Kingdom of eSwatini, formerly known as Swaziland. The number of ritual murders increases at election time. As reported earlier (see my June 19 posting), in 2003, King Mswati III urged Swaziland’s politicians not to engage in ritual killings to boost their chances. Five years later, Prime Minister Absalom Themba Dlamini issued a similar warning (2008). So far, about 45 people have been abducted, killed and mutilated in countrywide attacks that are believed to be associated with ritual activities ahead of parliamentary elections later this year (read article below). King Mswati III, centre, has ruled the country for more than 30 years (since 1986). Some 250 pupils from one community in eSwatini have abandoned school over fears linked to the recent spate of ritual kidnappings and murders. 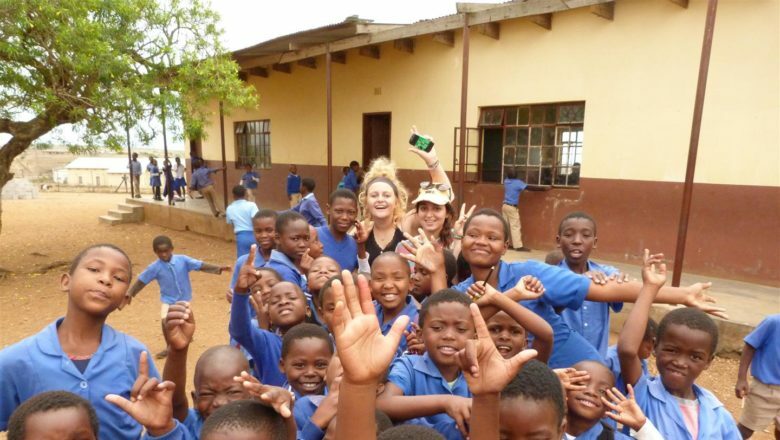 Residents of Mafutseni, about 50km from Manzini, decided to withdraw their children from schools following incidents of attempted murder in the space of two weeks. “At least residents pulled their children out of school and did not take the law into their own hands by hunting and killing the murder suspects,” said community headman, Mamilela Maphosa. The first incident occurred two weeks ago when a 15-year-old boy was captured by three men and his throat slot in an attempted murder apparently over ritual purposes. The boy escaped and is currently admitted to a hospital. The other case involved a community policeman who fled from an attack by three men whom he believed wanted to abduct him last week. The two incidents forced parents of pupils at a nearby primary school to keep their children at home until they were assured of their safety. On Tuesday residents held a march around the area carrying placards that condemned such acts. So far, about 45 people have been abducted, killed and mutilated in countrywide attacks that are believed to be associated with ritual activities ahead of parliamentary elections later this year. Also read my June 18 (2018) posting. 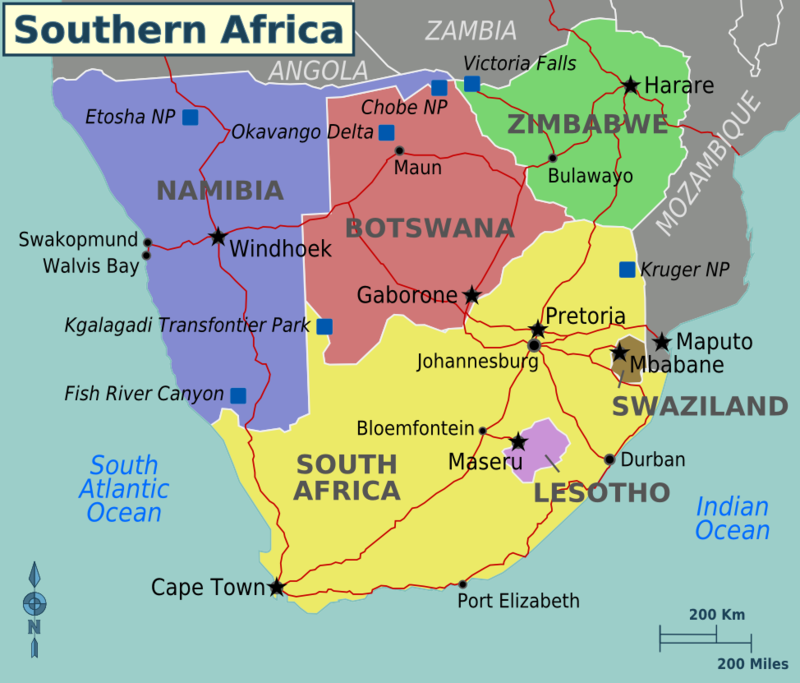 Swaziland, or ‘the kingdom of eSwatini’ as the country is being named since April 2018, is a landlocked country and smaller than the US state of New Jersey. This entry was posted in 2003, 2008, 2018, Absalom Themba Dlamini, BBC, Cameroun, child killings, children, elections, JournalduCameroun, King Mswati III, King Sobhuza II, Mafutseni, Manzini, Richard Rooney, ritual killing, ritual murder, SWAGAA, Swazi king, Swaziland, Swaziland Action Group Against Abuse, Uncategorized by Dr. F.P.M. van der Kraaij. Bookmark the permalink.